8 ounce Gasoline & Diesel engine oil treatments to their vehicles & their industrial equipments. Now, so can you at a promotional price for a limited time. - more miles per gallon. 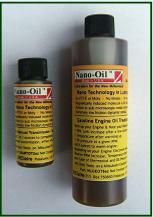 Special offer: NanoLube Gasoline & Diesel Engine oil treatments. 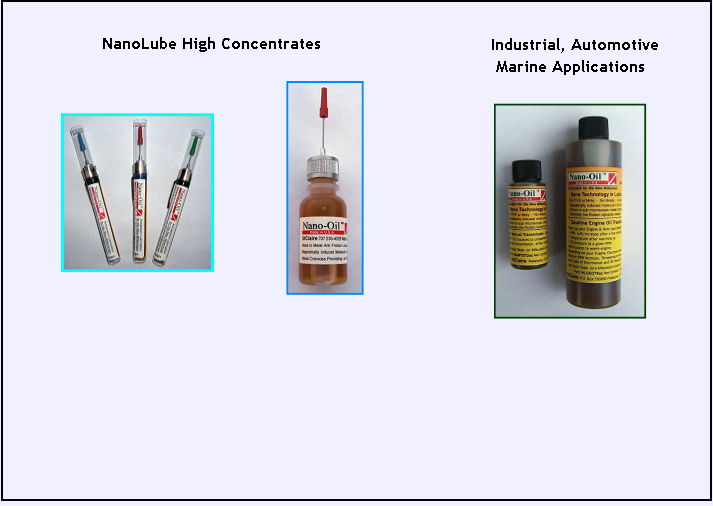 Nano-Oil by StClaire is available in a number of formulations including highly concentrated that can be used as is or added to most lubricants either petroleum or synthetic to increase their anti friction, anti oxidation (anti corrosion) & moisture barrier characteristics. specially valuable to items with life time warranties such as multi tools & folding knives. in Armament: Increases muzzle velocity smoothes all moving parts while protecting from rust & abrasions. proven on Land & Water. 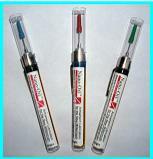 Flovance carries 2 Formulations that StClaire will feature at a later date.